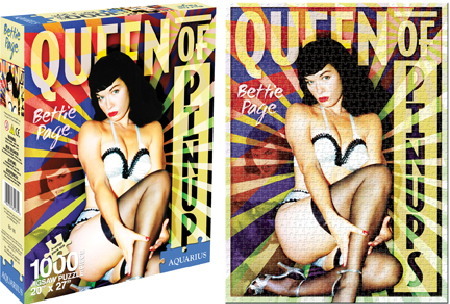 This is an unused, mint in the box 1000 piece jigsaw puzzle reproducing a pinup photo (with another in the background) image of Bettie Page. 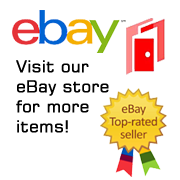 Produced in 2011 by Aquarius, it measures 20″ x 27″ when completed. This is an unused, mint in the box 1000 piece jigsaw puzzle reproducing a pinup photo (with another in the background) image of Bettie Page. Produced in 2011 by Aquarius, it measures 20″ x 27″ when completed. It has been stored in a smoke and pet free environment.